If you need tech support for your PC, it might seem daunting about where you can get the information you’re being asked for. It’s actually much simpler though to get this information from Windows than you might think. 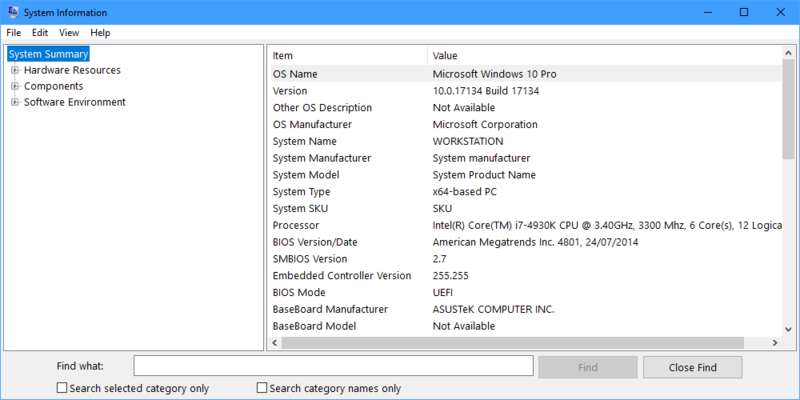 You can get very easy to navigate, easy to understand, but in-depth and technical information by searching in the Start Menu for System information. Run the System Information app when it appears in the search results and you’ll be presented with a new window of technical information about your PC. Everything is here, from basic information on the front screen, to details of every hardware device and app installed, and about the way in which Windows is set up and configured. If you need to send this information to somebody to help with a diagnosis, open the File menu and click the Export option. This will save all the System Information as a text file that you can attach to an email, or send via instant messaging.